It's the witch I used for the box in the last post. I decided to make it available as a coloring page. Usual terms apply. Which means you can use it for embroidery, wood burning, any craft application. You can even print it out and color it with crayons! 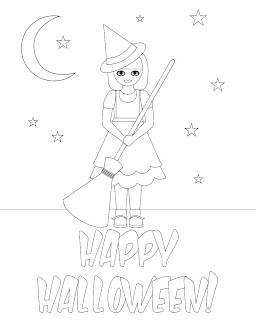 More coloring pages I drew including a cute bat available here.